Surgical Shoes Don't Have To Be Ugly! I recently operated on a patient who was suffering with terrible foot pain while she was pregnant. She was in so much pain from a Morton's neuroma in both feet. A neuroma is an inflamed nerve in the ball of the foot, which leads to severe pain. She couldn't wait to come into the office soon after the baby was born to have the neuromas surgically removed. She needed the foot pain gone! I operated on both feet to remove the neuromas (which were huge!) and she came in for her first postoperative visit a week later. While she was sore from the foot surgery, she did not have close to the pain that she was feeling before. 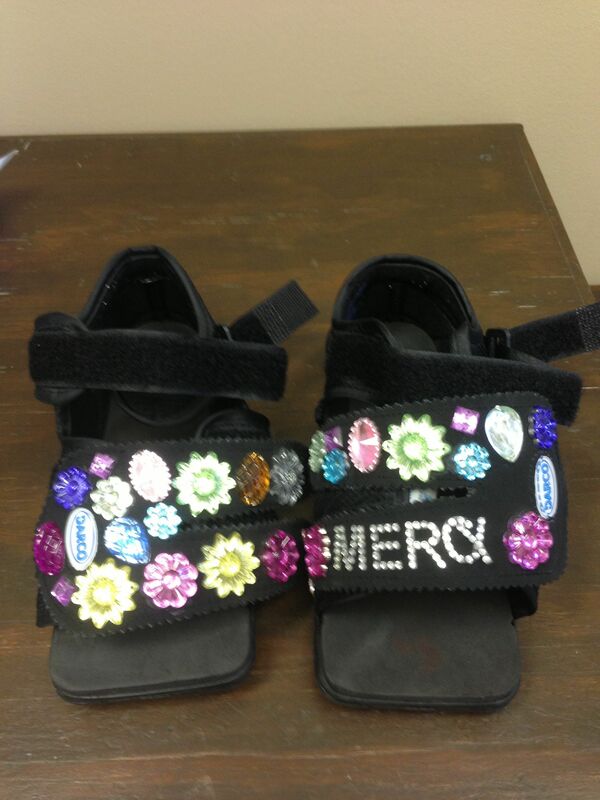 My favorite part of seeing her this week was her "bedazzled" surgical shoes. 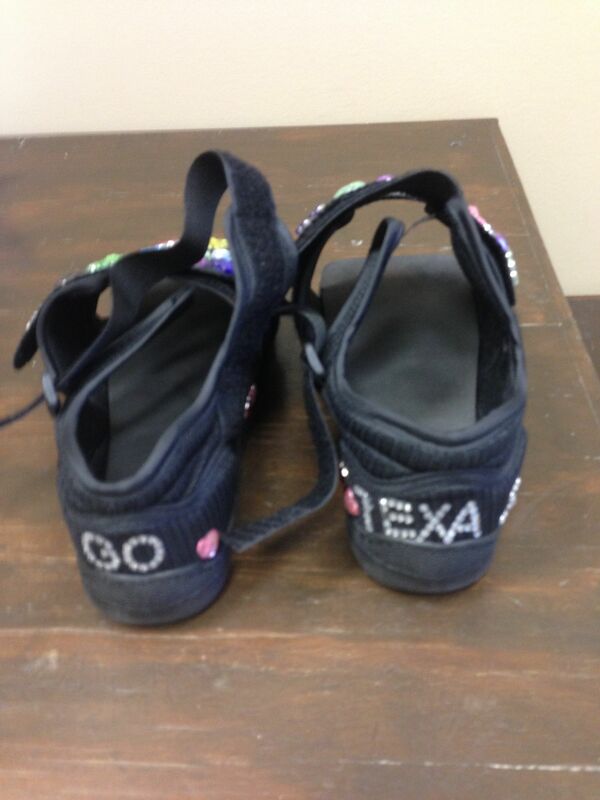 She didn't accept plain black shoes....she needed to make them hers! What a great visit! She was so happy and I just needed to take a picture of those shoes! If you're suffering with foot pain, call Tanglewood Foot Specilists and visit with Dr. Schneider to see what your best solution will be.